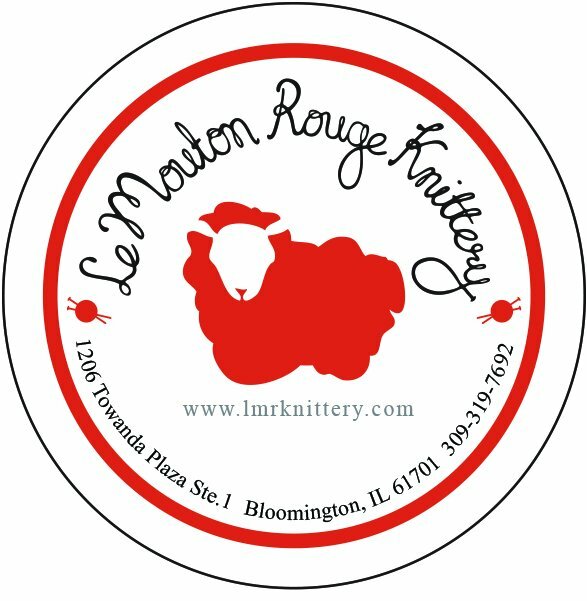 A new club is coming to Le Mouton Rouge Knittery and membership begins August 1, 2017. You will be able to join A Skein Up! Yarn Club in the shop or online. Golden Ticket drawing will be operated as follows. 50 numbered prize envelopes will be filled by a third party. Prizes will vary from envelope to envelope examples are: a pattern, a set of needles, notions etc. Minimum prize value will be $5. The grand prize will be the Golden Ticket. To enter the drawing for a specific week a member will drop off their tickets with their name written on the ticket and the number selected on the front of the ticket. There will be a chart with available numbers updated weekly. During Open Stitching on Tuesday Night, at 6:00 someone will select a ticket from that week’s bucket. The envelope with that person’s number will be opened and they will win the prize. For those who would like to participate but not drop off your tickets in person. Your tickets can be left in the shop. You can email the week of the drawing until Tuesday at noon with the number of tickets you would like to use that week and the number from the number board you would like to select. Email kelly@lmrknittery.com with A Skein Up! Golden Ticket in the subject and your name/number selection/number of tickets in the message. Prizes for the drawing are not returnable or exchangeable. Prizes must be picked up within 30 days winning, if you would like prizes shipped to you, you are responsible for the shipping cost. Golden Ticket Drawing tickets are a benefit of club membership and are not available for sale.